The 'Flux' quartet got to a stage where relations between them were so strained the frontman felt ready to call time on the indie band he co-founded. 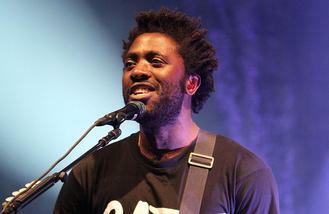 Kele said: "The group wasn't very healthy. That was the only time I felt like I didn't want to do this again." The group came close to disbanding after drummer Matt Tong quit in the same year but Kele sought solace in a friend who decided to join the new line-up on the road and relations between the bandmates improved. In an interview with The Sun newspaper, he said: "It was just a bad atmosphere and I wasn't sure I wanted to stay with it. But when we parted ways with our drummer and Sarah, a friend of mine, came on tour with us, it was suddenly a different vibe." Kele had convinced himself the band had run its course as a creative outlet for him but he began to realise the issues were about the people He added: "It was much more positive and I realised the issues we were having weren't really creative issues, they were more about personnel. "With that in mind I realised that we had to do something about changing the personnel because it's totally a gift and a blessing to be able to do this and have this kind of lifestyle and be creative. It's not about giving it up, it's about celebrating it." Louise Bartle - released their fifth studio album 'Hymns' on Friday (29.01.16).